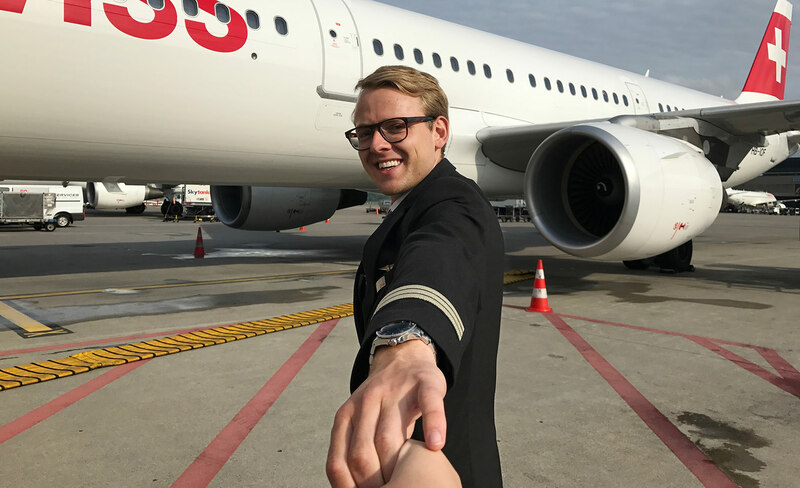 Andri is living his dream: as a pilot, he flies all around the world. However, he doesn't have to travel for long to get to his favourite destination: "Athens is a delightful city. I've been there so many times, and yet every time I go I still find something new." History, culture and science: all this makes Athens the most important city in Greece. There is a tremendous amount to explore in all three areas. "I love this city. From ancient to brand-new, it's got it all!" Tourists from all over the world travel to Athens for the culinary experiences as well as the sightseeing. As it can be really hot in summer, it's a good idea to explore the city in spring or autumn. "There aren’t so many tourists there at these times, either." SWISS flies daily to Athens (ATH) from Zurich (ZRH) and several times a week from Geneva (GVA). You've got to have breakfast! "Lulu’s Bakery serves all sorts of freshly baked delights – and really good coffee!" The bakery is also in the middle of the city, and it's easy to walk to all the sights from there. Now it's right on to one of the most striking buildings in Athens: Little Kook. "This café is so special on the inside as well as the outside. It really is a magical world. Definitely not to be missed!" The perfect spot for a rainy day or if you fancy a bite of something to eat: "It serves really delicious cakes and hot chocolate." The next item on the programme calls for some walking. It's a pretty stroll along the lanes of the Plaka directly to Philopappos Hill, which is right next to the Acropolis. "This lookout hill is really great – the views of the Agora and the Plaka are indescribably beautiful!" Time to head for the Nova Gea Juice Bar for a boost of vitamins. "There is a tremendous selection of freshly-squeezed juices, all of which are absolutely delicious!" For lunch, he suggests calling in at Thanasis. "It has the best souvlaki in the city!" These are meat skewers with various spices, and they are considered a Greek speciality. "Typically Greek – and really delicious!" Now things are going to get really impressive! The Panathenaic Stadium is the site where the first modern Olympic Games took place in 1896. "The stadium was also used for the last games in Athens. It's definitely worth a visit!" Are you ready for a 20-minute walk with obstacles? Then this is just the thing! "You'll go past feral cats and tortoises to climb high up Mount Lycabettus in the middle of Athens." It's 277 metres high – but if you're feeling less energetic, there is also a funicular railway. Whatever you choose, it's worth the effort. "There's a beautiful Orthodox church on the hill, and right next door a small restaurant for cool refreshments. And you'll also have one of the best views of Athens." Whether for a nightclub or a long night on the tiles: you'll find both at the Sixdogs. "Cool people, fabulous drinks – and with the brilliant ambience, this bar really hits the bull's eye. But if you'd prefer somewhere a little quieter, you can sit under the trees in the large outdoor area. I love it here!"